Acropolis Block Services (ABS) is designed as a scale-out storage solution. 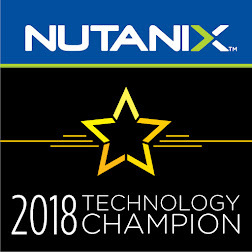 Every controller virtual machine (CVM) in a Nutanix cluster can participate in the presentation of storage, allowing individual applications to scale out for high performance. To provide access to the block storage and simplify client configuration management, ABS exposes a single external data services IP address to clients for target discovery, which also simplifies external iSCSI configuration on clients. This external data services IP acts as an iSCSI target discovery portal and initial connection point. The client is configured with this single IP address, which helps load balance storage requests and enables path optimization in the cluster, preventing bottlenecks. 1. In the main menu, click the cluster name. 2. Enter an IP address for use with Acropolis Block Services in the External Data Services IP Address field. 1. In the Storage dashboard, click the Volume Group button. 2. In Name, enter a name for the volume group. 3. In the Disks section, click Add New Disk. In the Add Disk dialog box, in Operation, specify the device contents. Allocate on Container: Allocate space without specifying an image. Also, you may clone from ADSF File: Clone from a file in the DSF. Or, copy an image that you have imported by using the Image Service feature. 4. To enable multiple initiators to access the volume group, select Share across multiple iSCSI initiators or multiple VMs. 5. In IQN, enter the IQN of the VMs and click Add. If the initiator is a VM on AHV and you want to attach the volume group as a SCSI disk, skip this step and save the volume group. After it is saved, modify the volume group to attach VMs. 2. On the Targets tab, type the IP address of the ABS (External Data Services IP Address) in the Quick Connect text box, and then click Quick Connect. 4. Using the Disk Management console (diskmgmt.msc), initialize and format the new hard disk drive.